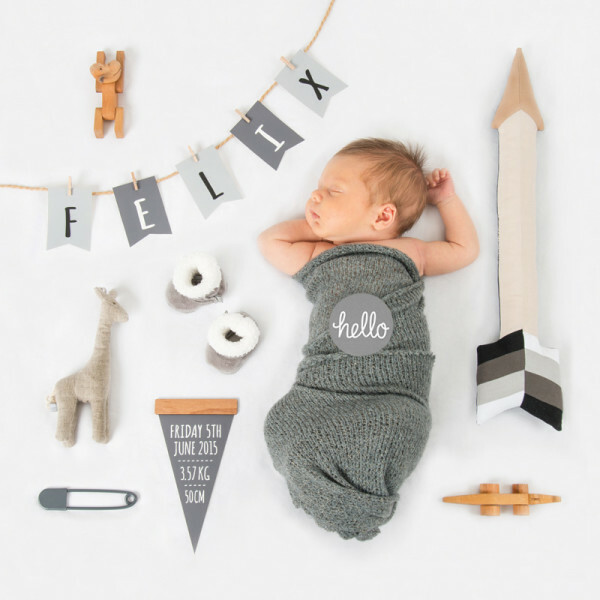 Photograph your own ‘flat lay’ birth announcement. All you need is a few baby things and baby ofcourse! – Personalised canvas mini bunting. – Pegs + jute twine. 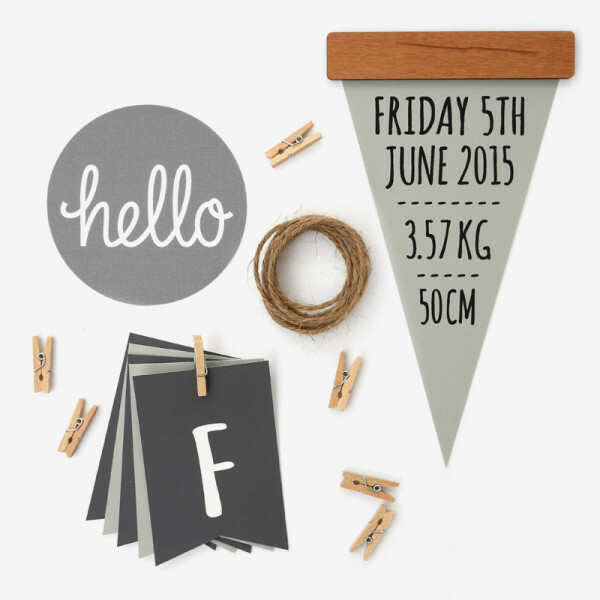 – Birth details canvas flag + timber strip. – Additional canvas ‘initial’ flag.